The Soaring Dragon Continent is a world of summons, you can only become strong if you become a summoner! Yue Yang, an average high school boy, was suddenly kicked into this world. When he woke up, he was greeted with a lot of worried faces and found out that he had assumed another person’s identity. Turns out he’s the good-for-nothing third son of the Yue Family, who had just recently drowned himself because of a failed engagement. Unlike the third son of the Yue Family who was useless in summoning, Yue Yang succeeded in making a contract with a summoning grimoire on his first try, even when the other guy failed for the past fifteen years. Others would have a headache making contracts with beasts afterwards, but countless beasts tried to gain favour with Yue Yang instead, acting like a good kid before him. Chapter 718 - Who is the Stingiest Person? Part 1 ? 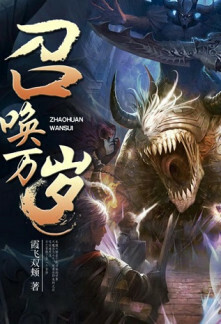 Chapter 717 - Old Master Bao Gu Part 1 ? Chapter 716 - With just you? Not worthy! Chapter 4 – Heavenly Sword Goddess? Chapter 7 – Summon, Spitting Thorny Flower! Chapter 20 – No Money? Then Sorry. Chapter 28 – Is She My Daughter or a Beast? Chapter 30 – Expert? You’re just a stepping-stone. Chapter 34 – Do you have anything else to show off? Chapter 43 – Tong Tian Tower, I’ve Come! Chapter 49 – Guessing Riddles?